Liverpool appear to have named their price for Philippe Coutinho after rejecting an initial enquiry from Paris Saint-Germain regarding the Brazilian. In response to the approach, the Reds have quoted the French club a price of £87million, according to the Mirror. Despite Coutinho signing a new five-year deal at Anfield in January and Liverpool remaining adamant that he will be going nowhere, reports continue to link the 25-year-old to a move elsewhere. Barcelona have previously been identified as potential suitors, although there has been little to suggest the Catalan giants are at all interested in signing the former Inter Milan star this summer. Rumours linking Coutinho to the La Liga side have been predominantly fuelled by praise from international teammate Neymar, who is supposedly keen on teaming up with his close friend. An apparent £87million price-tag can ultimately be taken to represent Liverpool maintaining their stance with regards to having no intentions of selling their star man. 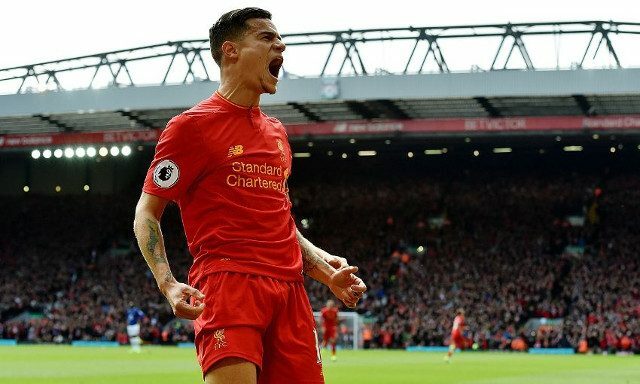 Supporters have good reason to believe they can put their own minds to rest, knowing that Coutinho’s heart is very much at Liverpool and that his current ambitions are to bring success back to Anfield. His main focus right now is undoubtedly on taking his game to a world class level next season and making his mark on the European stage, providing Liverpool make it through their Champions League playoff clash. At this point in his career, he needs to be playing as the main man and the figure his teammates turn to for inspiration, just as he has started to become over the past couple of years. He is the club’s top earner for a reason.